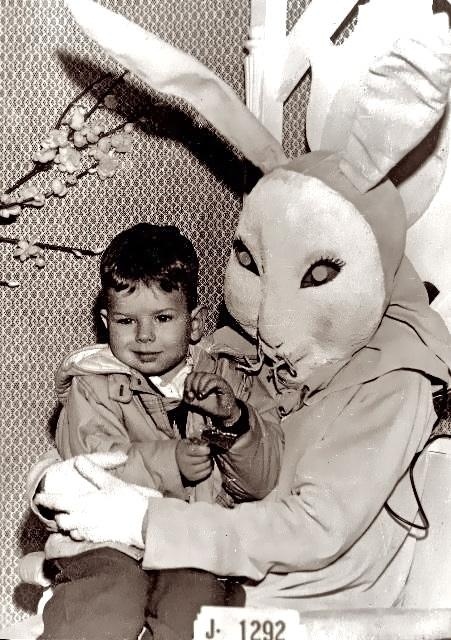 If the idea of a human-sized rodent sneaking into your house in the middle of the night carrying a basket of eggs doesn't freak you out, we're pretty sure these photos of creepy Easter bunnies will. 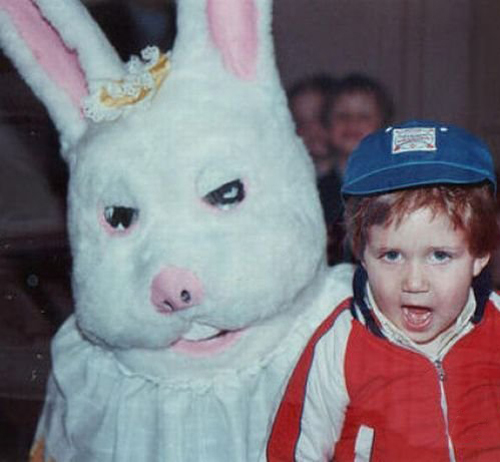 Is that a milk jug covering your face, Easter Bunny? 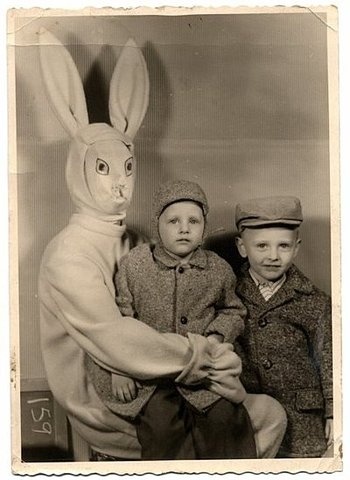 Look at me plot to take over the Earth while holding two innocent children. Mwahahah! 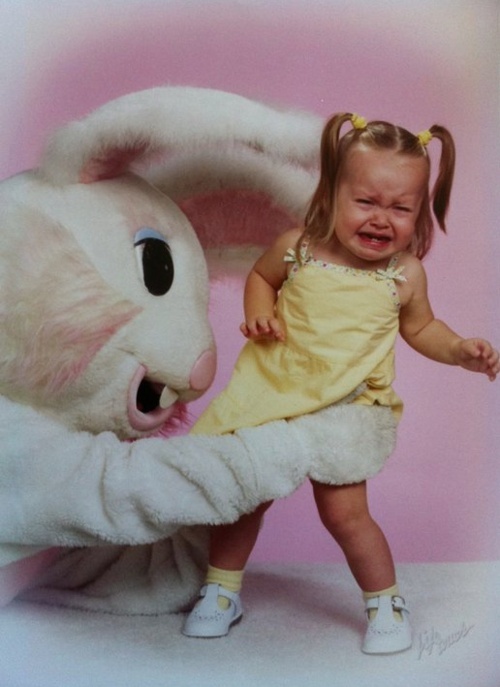 We wouldn&apos;t be happy about sitting on this one&apos;s lap either, kid. 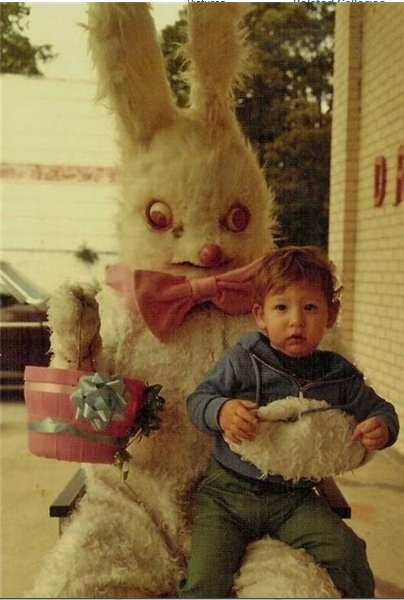 Easter Bunny, have you been drinking? Get back here, kid! Didn&apos;t you hear when I said I have candy?! ?